Our best selling jacket is now available to Devon Dynamite Majorettes. 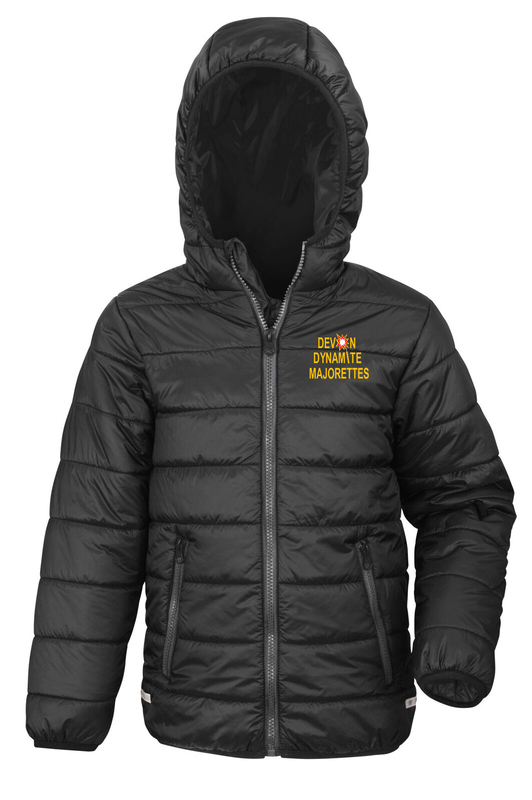 This junior/adult version offers clubs the abaility to have an 'in trend' puffer jacket in their clothing range. AXS 35" S 38" M 41" L 44" XL 47" 2XL 50" 3XL 53" 4XL* 56"